Mountain house with character. Outstanding view. Property 12: Mountain house with character. Outstanding view. 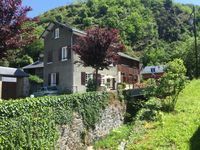 Pyrenean house in the valley of Aure, 4 *, 8pers, near St-Lary-Soulan. 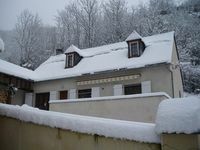 Property 45: Pyrenean house in the valley of Aure, 4 *, 8pers, near St-Lary-Soulan. We had a wonderful time in Luchon ! I already sent my review to Christina ! House extremely quiet , extremely well located , extremely clean &amp; well looked after and the owner extremely helpful . What more could you ask for ? ..Homemade jam for breakfast perhaps ? Tick - apricot or strawberry ( both extremely good ! ) We used the house as a base for visiting the region for the first time (1,000+kms in one week ) &amp; we would willingly return as it would be difficult to find anything better in the region .What more can we say ?? ?